Do you ever have those 'must-have' moments when you see a product and fall in love with it immediately? This is exactly what happened when I discovered the Rootytoot online store with its bright and quirky limited edition children's prints. The brand is the clever creation of London-based illustrator, Nathan Reed, who also illustrates children's books for the likes of Penguin, Harper Collins and Macmillan. As well as online via the website, Rootytoot prints can also be found in over 60 shops throughout the UK including the prestigious department store, Fenwicks. 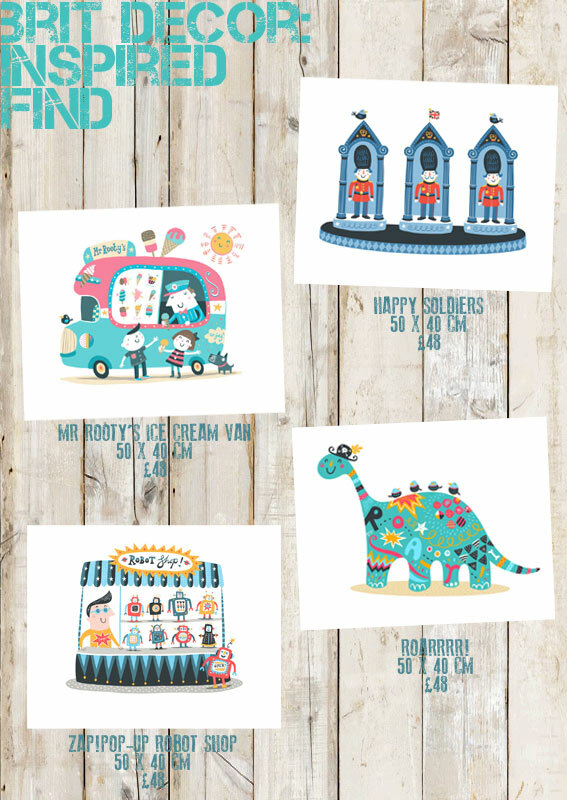 I'm not sure if it's just the child in me or my designer's eye which is most drawn to these eye-catching illustrations but either way, I think they would make a heart warming addition to any interior (young or old! ).